There has been an internal selection in Armenia by the Armenian broadcaster AMPTV. The music project or group name has been announced for a while ago: Genealogy – which means family history. The idea is to bring together Armenian spirit with Armenian roots who live spread all over the world. The ESC slogan of this year “Building Bridges” is reflected very well in this entry as this is a very international cooperation. There are six singers from all over the world: Essaï Altounian is a French-Armenian, who will represent Europe in this entry; Tamar Kaprelian will represent America; Vahe Tilbian an Armenian-Ethiopian represents Africa, Stephanie Topalian – a Japanese-Armenian singer will represent Asia; Mary-Jean O’Doherty will hold up the flag for Australia, as she has a Greek-Armenian mother and last but not least Inga Arshakyan, who lives in Armenia, she has been representing Armenia in 2009 with her sister in “Nor Par (Jan Jan)" and made a 10th place in Moscow. The original song title “Don’t Deny” has been changed to “Face The Shadow”, but the lyrics have not changes. This is probably made because of criticism that the Armenian entry would be too political in regards of the genocide 100 years ago against the people of Armenia. 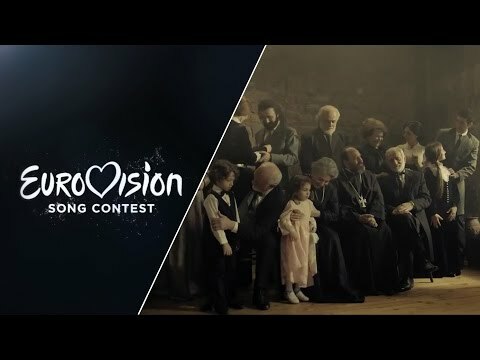 The message “Don’t Deny” would have been given a lot of attention in the ESC. This historical fact has not been officially accepted by all countries in the world. Officially it’s a song about peace, unity and love. The song “Face The Shadow” sounds like an anthem with traditional music elements. The six singers bring this sadly seemed song to shine. To understand the meaning of the song with the pleasure to watch a brilliantly made video clip is not always easy. It’s about harmony, with families and love relationships. It all depends on the live performance on stage how this will get on. It’s a brilliant idea, but will this convince the Europeans? Armenia was the first country from the Caucasus joining the Eurovision Song Contest in 2006. The debut entry “Without Your Love” by André reached a very good 8th rank in Athens. This year Armenia is celebrating its 9th participation, the best result – the 4th place - could be reached by Sirusho with “Qele Qele” in 2008 and by Aram MP3 with “Not Alone” last year in Copenhagen. Over the years Armenia could pass the qualification round seven times and the Top10 6 times. This means that Armenia has a relatively high chance of 67% to reach a Top10 position. This makes Armenia to one of the strongest newcomers in the recent ESC history. Armenia always wanted to win the ESC, at least they have won the Junior Eurovision Song Contest and even hosted is in the capital of Yerevan. Due to political reasons Armenia did not participate in the 2012 ESC in Baku, Azerbaijan, which was a pity as the Eurovision Song Contest strongly emphasizes that it’s a contest of music and has no political impact.